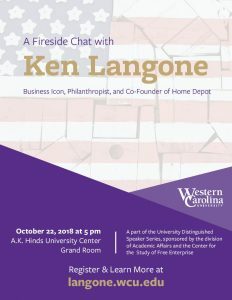 Business icon, philanthropist, and Cashiers resident Ken Langone is coming to WCU for a fireside chat on Monday October 22 from 5:00-6:15 p.m. Here are five reasons to check it out. 1. A great story. Ken grew up poor in Long Island and rose to business success with a lot of hard work, good luck, and help from his friends. Along the way he co-founded The Home Depot, built a top Wall Street investment firm, and became one of America’s major philanthropists. 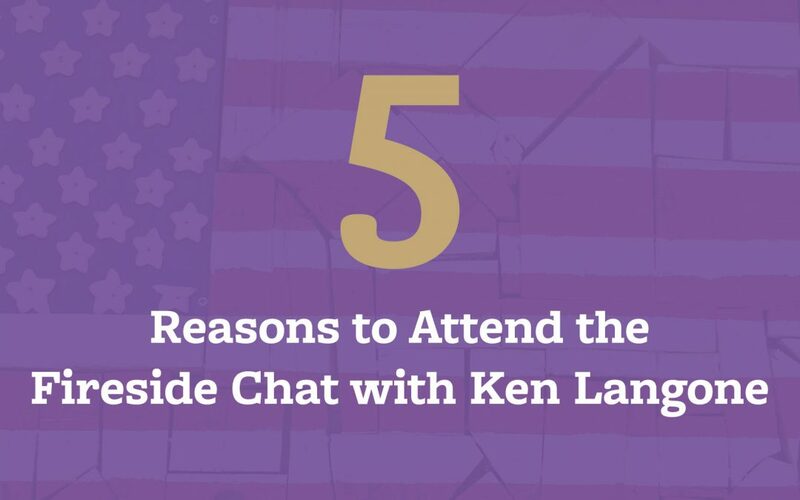 There’s more to Ken’s story here. 2. A local voice. Ken and Elaine Langone have a home in Cashiers, and this is their first time visiting WCU. So this is a great chance to hear from a local voice, and to see more of what WCU is all about. 3. Networking. Mingle with others from WNC’s business, government, and non-profit sectors. Tell your story too! 4. Funny, warm, and entertaining. Ken’s story is full of F words. And not just that F word, either. His new book is all about Family, Faith, Friends, and Freedom. This fireside chat promises to be funny, warm, and entertaining all around. 5. Free. This event is free and open to the public. Doors open at 4:30. Registration is recommended, just visit langone.wcu.edu.